Quickly transform any image or gif into work of glitch art. The program includes implementations of well known image filters such as pixel sorting, but also includes many entirely custom effects. The program also allow for filters to be applied at any angle, and even at different angles for RGB channels. Unlike other pixel sorting programs available, GIFKR lets you see results in real time. 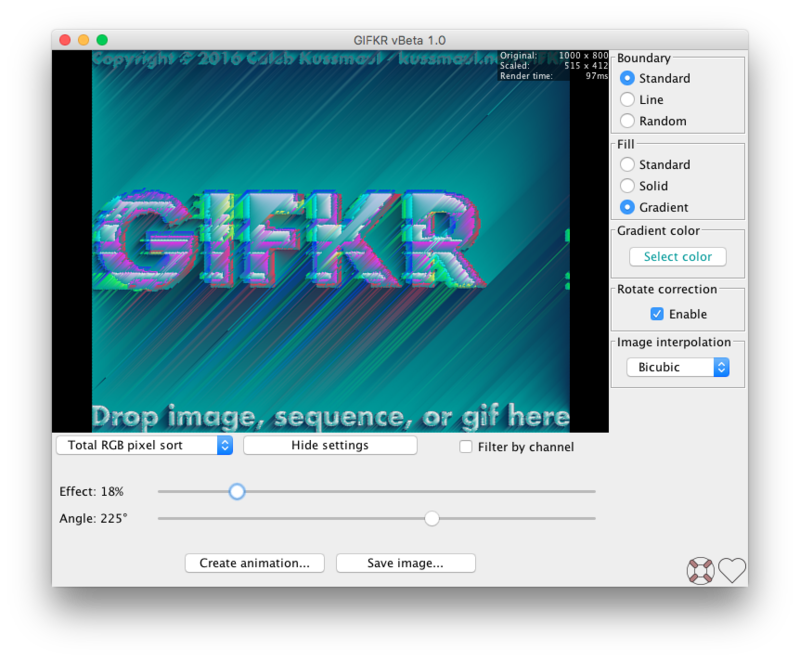 It supports animating still images, as well as GIFs and PNG sequences. It is currently in beta and is constantly being improved. At the moment, all versions require Java 8+ to run.